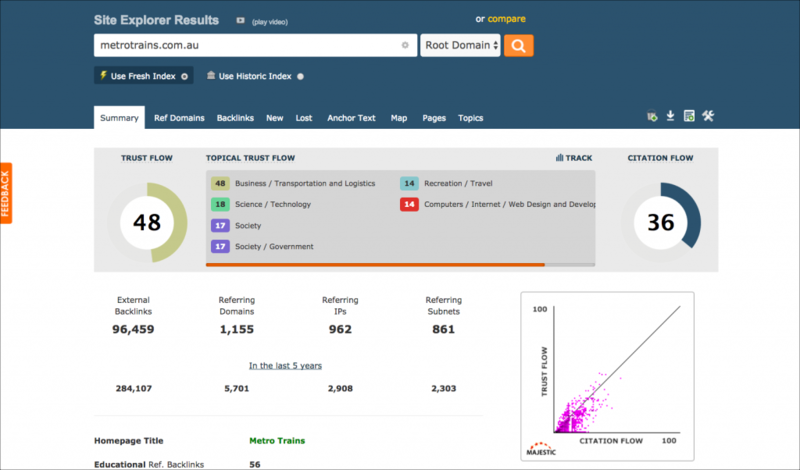 Everybody likes a link from a government website – but where do government sites get links from? 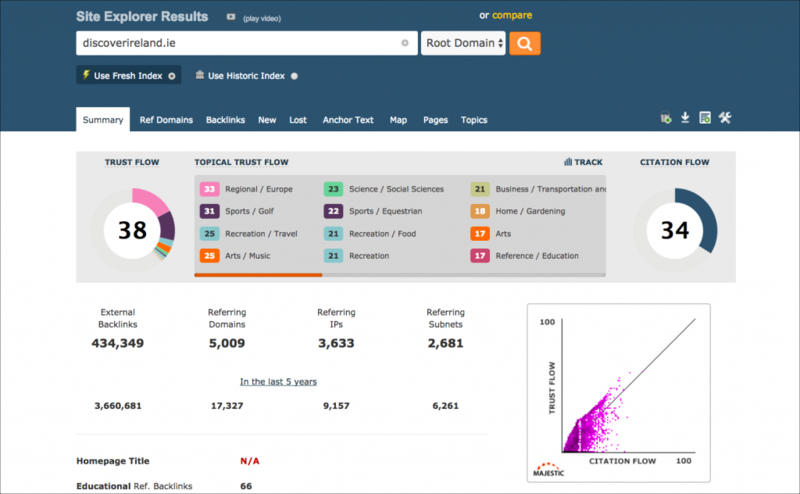 And what impact does their content have on their audiences – and their link profile? 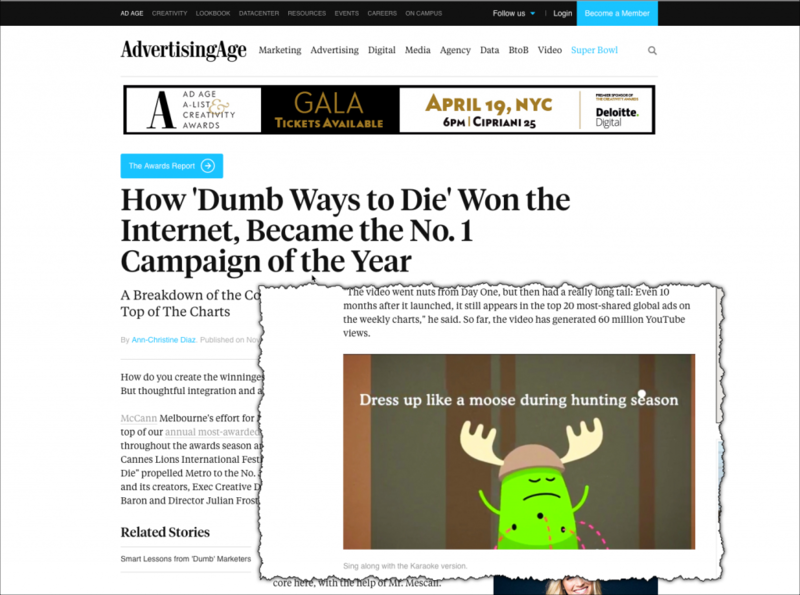 In this post, I’m going to look at some memorable government campaigns that generated huge interest and media attention worldwide. I’m going to look at the strategic objectives behind them, how well they met those objectives and what Majestic link analysis can tell us. Majestic-government from Ken McGaffin on Vimeo. This is part of the growing collection of resources on our free video course, Getting up to speed with Majestic (now 24 lectures). Last month, I looked at the nonprofit sector and my task was made easier because I found a great authority site, Osocio.org whose purpose was to publish commentary on great social marketing campaigns. However, I couldn’t find an equivalent for government sites so I relied scanning the quality press and of doing some Google searches. (thanks to https://www.veinteractive.com/blog/15-travel-marketing-campaigns-cant-help-love/ for some inspiration!). From my research, I identified 4 major objectives that government agencies might have, and then sought to find useful examples of each. I’ll look at each of these areas in turn. 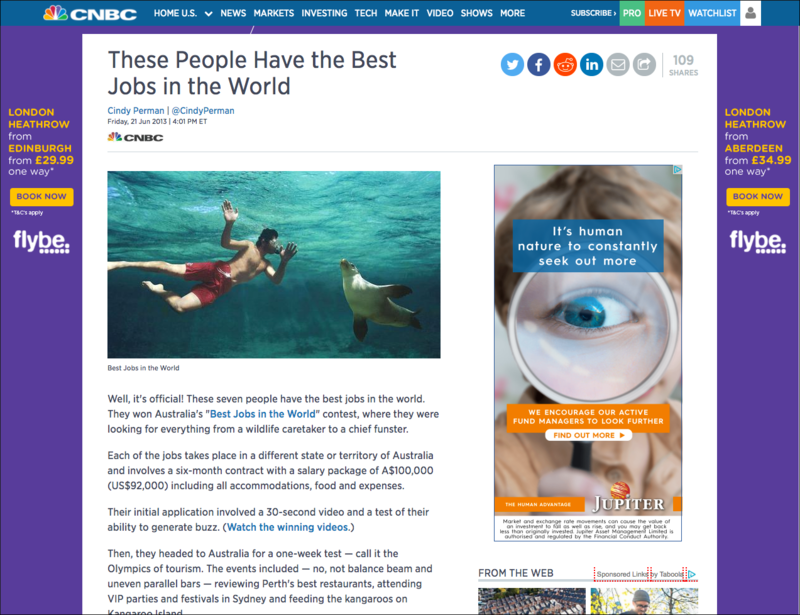 The ‘Best Job in the World’ builds on the success of a Queensland campaign from four years before, where people could apply to be an ‘Island Caretaker’ with six months vacation. This initiative attracted worldwide coverage for the State and boosted tourist visitors significantly. Cooperation with other state and territory organisations throughout the country to make it an Australia-wide initiative. Cooperation with major corporate partners including Citibank, Dell, Monster.com and Virgin Australia. Publicity from over 8500 news articles, generated a fabulous $44 million worth of media coverage. 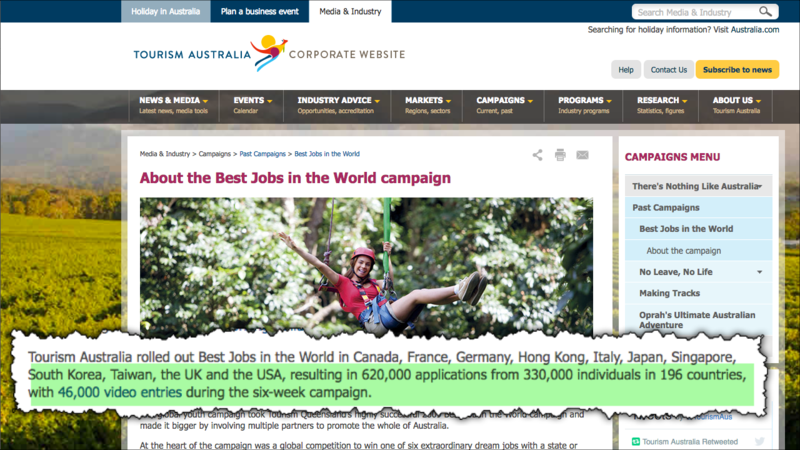 Major engagement with their target audiences stimulating huge interest in Australia. 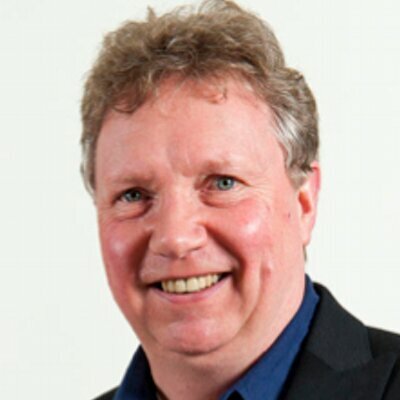 I remember the impact that the YouTube video had on my daughter and the fellow pupils in her primary school in Scotland – halfway round the World from Australia. And it certainly had the same impact on numerous schools worldwide – and has attracted over 145 million views on YouTube! It is startling that a campaign designed to promote safety on the Melbourne Metro line could have such an impact worldwide, and provided value on so many different levels. It’s another example of fantastic crossover between the objectives of a government campaign. Verdict: This was an astonishing performance from a video promotion that very clearly had a local focus. However, the creativity of the video animation struck a cord with a worldwide audience. The link profile looks good for such a local organisation. Furthermore, the primary objective of the campaign was met, reducing accidents by 20%. The lesson is that even local campaigns can have worldwide appeal. 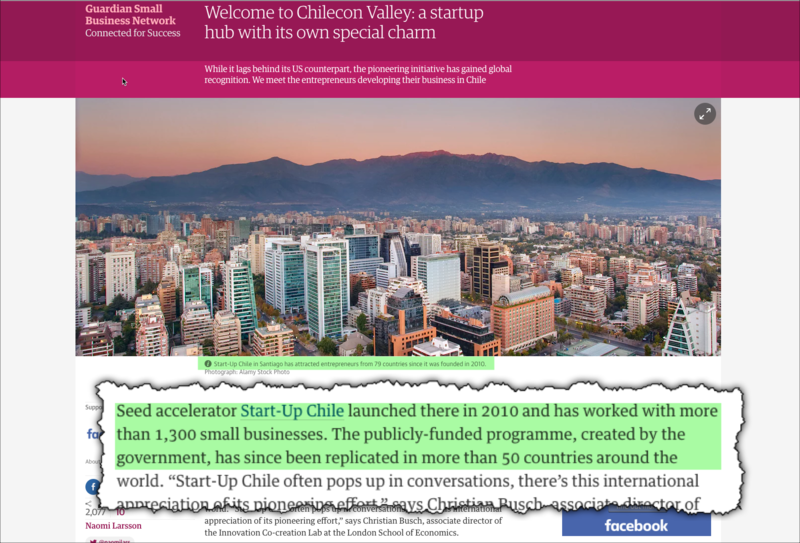 This story from, “Welcome to Chilecon Valley” The Guardian reports that “much to the surprise of Chileans and global techies alike, Santiago has become an unlikely entrepreneurial hub”. 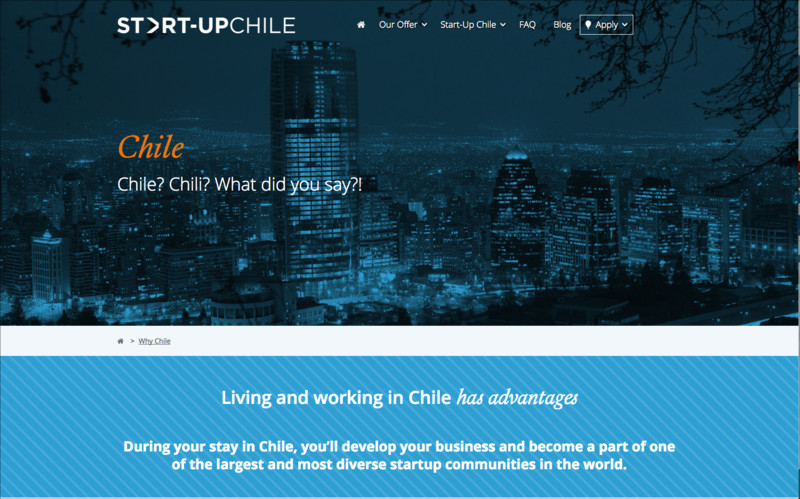 The story tells of the success of an initiative to attract startups to Chile, Start-Up Chile. Indeed so successful has the initiative been that is “has been replicated in more than 50 countries around the world. Entrepreneurs from 79 countries have been involved in Start-Up Chile so far”. The basic concept was to attract startups to Chile with the offer equity-free grants of around $12,000 and a year long visa to work on their ideas in the country. A recent report estimated that the value of the startups it has supported is $1.35 billion. The website itself does recognise that people might be a little surprised by the prospect of moving to Chile – “Chile? Chile? What did you say?”. 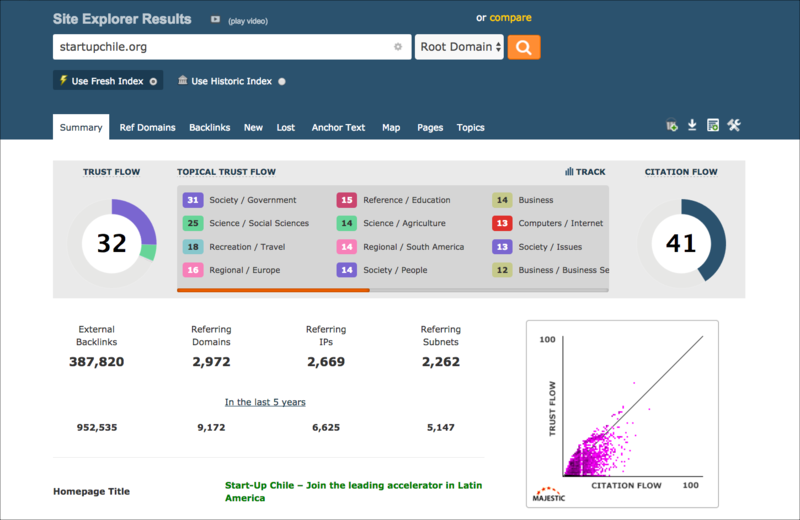 Verdict: Chile is probably not the first place you’d expect to find an entrepreneurial hub. However the campaign’s objective of attracting startups was fulfilled – and the model was so attractive that it inspired over 50 countries to replicate the initiative. 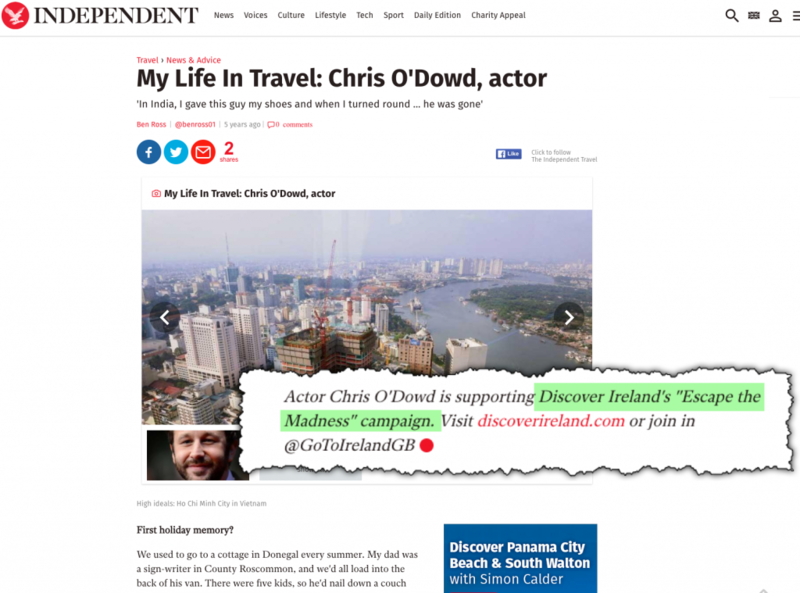 The article highlights the “Escape the Madness” from DiscoverIreland.ie – a video that generated almost half a million likes on YouTube. The campaign was targeted at ‘over-busy’ Londoners, in the period just before London staged the Olympics. The idea was based on a ‘race’ – one guy would travel from London to Ireland to buy a pint of Guinness, the other would travel across the city to buy a coffee! The premise was that it was easier to travel to Ireland than to travel across London during the Olympics. No prizes for guessing who the winner was. Verdict: The “Escape the Madness” campaign was triggered by an external event – the Olympics being held in London. The idea of a race was clever and funny – probably dreamt up in some pub in either London or Dublin (or both). A great bit of fun that attracted over 400,000 views and a good number of links as well. While my review of government campaigns was not meant to comprehensive, I think that the 4 the clever campaigns I found have some great lessons. 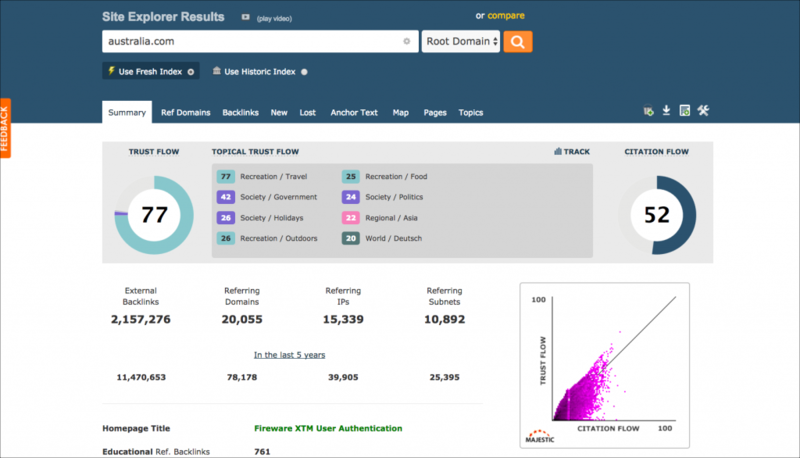 None of the campaigns were designed specifically to generate links, yet many of them did. My takeaway is that marketing activities of all kinds can generate quality links, often without asking – and that if SEO and link building get a seat at the planning table, they have much to offer. Glad you enjoyed the article – and good luck with your link building. Great and detailed article on earning editorial links. I bet, if it was published on some other popular SEO blogs, it would have been an another hit around the SEO community. I’m glad you enjoyed the detail and the examples. Please share if you can.